Join us in Paradise Right Here in the Midwest! It's Van Galder's second annual Tiki Terrace Luau! Escape the cold beginnings of winter without leaving the Midwest and head south to Des Plaines for a special Luau show ... grass skirt optional! 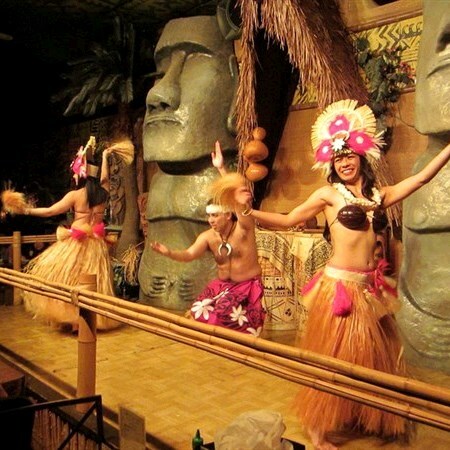 Enjoy a delicious dinner before taking a dancing tour of the Islands of Hawaii, Tahiti, Samoa, and New Zealand. TOUR INCLUSIONS:Professional tour director, transportation, lunch, and show. ACTIVITY LEVEL 1 / MINIMAL WALKING: Walking includes boarding the coach, keeping a leisurely pace. Some stairs may be required.